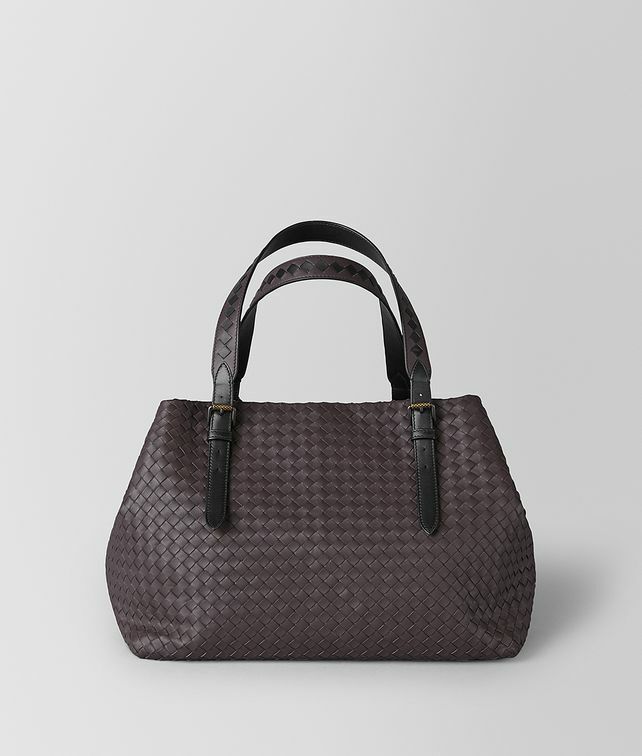 A functional yet elegant style for every day, the large Cesta is expertly crafted from hand-woven nappa leather in a seamless construction that allows the soft sides to fold in. It is new for Cruise 2019 with black handles in the Intrecciato Chequer workmanship, accented with brunito eyelets and dark-gold engraved buckles. Finished with a buttoned fastener, suede-lined interior, internal zip pocket and flat pocket. Height: 47 cm | 18.5"